Pablo César Aimar Giordano (Spanish pronunciation: [ˈpaβlo aiˈmaɾ] ; born 3 November 1979) is a retired Argentine professional footballer and current coach of the Argentina national under-17 football team. Río Cuarto is a city in the province of Córdoba, Argentina. Located in the south of the province, it has about 157,000 inhabitants and is an important commercial and agricultural hub. Asociación Atlética Estudiantes is a sports club located in the city of Río Cuarto, Córdoba Province (Argentina). 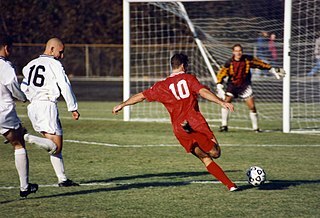 Although many sports are practised at the club, it is mostly known for its football team, which currently plays in the Torneo Argentino B, the regionalised 4th level of the Argentine football league system. Daniel Alberto Passarella is an Argentine retired footballer who played as a centre back, and former manager of the Argentina and Uruguay national football teams. He was captain of the Argentina team that won the 1978 World Cup. He was president of the River Plate sports club for 4 years after winning the elections by a very close margin in December 2009. Rui Manuel César CostaOIH is a retired Portuguese professional footballer. "Pablo is the only current footballer I'd pay to watch. He’s been the best player in Argentina over the last couple of years and is even more talented than Riquelme or Saviola. Following a breakdown between Benítez and Valencia's sporting director Jesús García Pitarch, the former left his position at the club and was replaced by Italian manager Claudio Ranieri for the 2004–05 season. A combination of injury concerns and tactical changes from the manager saw Aimar struggle under Ranieri and found himself being as employed as a substitute more frequently than before. The Italian departed the club in February and was replaced by Antonio López, who in turn was replaced by Quique Sánchez Flores for the following season. With Valencia in decline, Aimar decided to leave the club at the end of the 2005–06 season having amassed over 200 appearances for the club over the course of five-and-a-half seasons. "I have never played with another player who knows where I'm going to be or just lifts his head knowing where I'm going to." On 7 August 2013, Tunku Ismail Ibrahim, the president of Malaysian club Johor Darul Ta'zim, confirmed that Aimar had signed a two-year contract with the team. Upon arrival, he became the highest paid player ever to feature in the Malaysia Super League. He made his debut in the league six months after signing, in a 2–0 win against Perak FA. 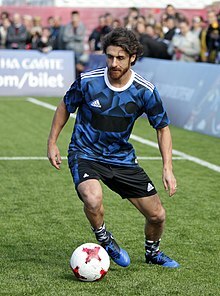 Prior to making his debut, Aimar had previously played at the Larkin Stadium, home of Johor, before with Argentina in the 1997 Youth World Cup. He ultimately made 8 appearances for the club and scored two goals before a spate of injuries resulted in him being released on 21 April 2014. Aimar did earn a champions medal for his time with JDT, though, as the club went on to lift the Super League title at the end of the season. Aimar first represented Argentina at youth levels. Along with future senior team players Esteban Cambiasso and Juan Román Riquelme he won the 1997 FIFA World Youth Championship and went on to earn 52 senior caps following his debut in 1999, scoring eight international goals in total. He represented Argentina at the 1999 and 2007 editions of the Copa América, at the 2002 and 2006 FIFA World Cups, and at the 2005 FIFA Confederations Cup. In the 2002 World Cup, for which he was picked ahead of Riquelme, Aimar appeared against England, subbing in for Juan Sebastián Verón in the 1–0 loss,  which led coach Marcelo Bielsa to start him against Sweden at the latter's expense. Roberto Fabián Ayala, nicknamed El Ratón, is an Argentine former footballer who played as a centre back for the Argentina national team, as well as Valencia and Real Zaragoza in Spain, Milan and Napoli in Italy and River Plate in his native Argentina. Diego Pablo Simeone, also known as El Cholo, is an Argentine football manager and former player, who played as a midfielder, and is currently the manager for Atletico Madrid. Simeone is often considered to be a legendary figure in the history of Atletico Madrid, due to his achievements as a player and manager with them. Andrés Nicolás D'Alessandro is an Argentine football player who plays for Internacional. Gustavo Adrián López Pablo is an Argentine retired footballer who played as a left winger. Marcelo Daniel Gallardo is an Argentine former footballer and current manager of River Plate. Alberto Zapater Arjol is a Spanish professional footballer who plays for Real Zaragoza mainly as a defensive midfielder. Pablo Oscar Cavallero Rodríguez is an Argentine retired footballer who played as a goalkeeper. 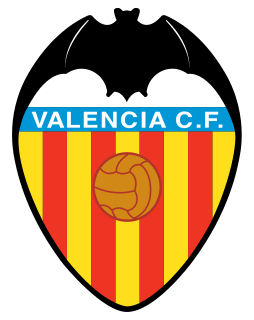 During the 2006–07 Spanish football season, Valencia CF competed in La Liga, the Copa del Rey and the UEFA Champions League. 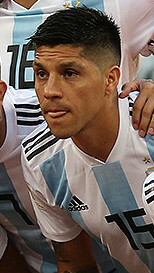 Enzo Nicolás Pérez Seguí is an Argentine professional footballer who plays as a midfielder for CA River Plate and the Argentina national football team. Pablo Daniel Piatti is an Argentine professional footballer who plays for Spanish club RCD Espanyol. He operates mainly as a left winger, but can also play as a forward. Andrés Ricardo Aimar Giordano is an Argentine former footballer who played as a midfielder. Nicolás Hernán Gonzalo Otamendi is an Argentine professional footballer who plays as a centre back for Premier League club Manchester City and the Argentine national team. In 2009–10, Futbol Club Barcelona started the new season with the prospect of winning six major competitions in the 2009–2010 season. 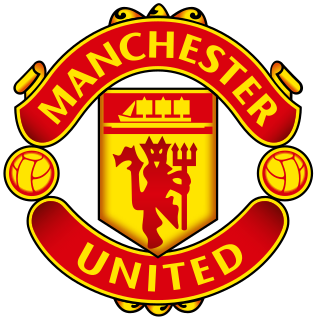 They contested for the Supercopa de España, UEFA Super Cup, FIFA Club World Cup, Copa del Rey, La Liga, and the UEFA Champions League. During the summer transfer window, the club swapped their top league goal scorer during the treble season, Samuel Eto'o to Italy's Inter Milan in exchange for Zlatan Ibrahimović, along with €48 million, bringing the total to €69 million. On 16 May, Barcelona claimed its 20th league title with a then-record 99 points via a 4–0 victory over relegated side Valladolid to finish their 2009–10 season with four titles. 1 2 3 4 5 6 7 8 9 10 11 12 13 14 15 16 Saleem, Omar (12 May 2017). "Pablo Aimar: The Elegant Magician who Inspired a Generation". These Football Times. Retrieved 9 January 2018. 1 2 3 4 "Tras casi 15 años, Aimar vuelve a vestir la casaca de River". Goal Argentina (in Spanish). 29 May 2015. Retrieved 2 September 2016. ↑ Shams Al-Deen, Abdullah (16 June 2009). "Where In The World Is Pablo Aimar?". Goal US. Retrieved 1 September 2016. 1 2 3 4 5 Brassell, Andy (6 April 2010). "Benitez welcomes former protege Aimar to Anfield". ESPN FC. Retrieved 3 February 2015. ↑ Davies, Christopher (19 February 2001). "Aimar aims for immediate impact". The Telegraph. Retrieved 3 March 2015. ↑ Hunter, Graham (23 September 2004). "Aimar's divine improvisation". UEFA. Retrieved 30 September 2016. ↑ "Aimar adds zest for Zaragoza". UEFA. 29 July 2006. Retrieved 5 September 2016. ↑ "Ayala será jugador del Real Zaragoza". Real Zaragoza (in Spanish). 14 July 2006. Archived from the original on 11 August 2007. Retrieved 5 September 2016. ↑ Rainbow, Jamie (27 July 2011). "Real Zaragoza: where did it all go wrong?". World Soccer. Retrieved 5 September 2016. ↑ "Aimar jura la Constitución y será jugador comunitario". El Periódico de Aragón (in Spanish). 14 June 2007. Archived from the original on 26 September 2007. Retrieved 5 September 2016. 1 2 Marcotti, Gabriele (20 April 2010). "Portugal's Benfica Helped by Reunion of River Plate Teammates". Wall Street Journal. Retrieved 3 February 2015. ↑ Cox, Michael (2 March 2010). "Benfica – the most attractive side in Europe?". Zonal Marking. Retrieved 3 February 2015. ↑ "Pablo Aimar despede-se do Benfica: "Foram cinco anos maravilhosos"" [Pablo Aimar says goodbye to Benfica: "I had five wonderful years"] (in Portuguese). A Bola. 6 June 2013. Retrieved 6 June 2013. ↑ Afiq, Nik (7 August 2013). "Tunku Ismail Ibrahim has confirmed that the former Benfica player, Pablo Aimar, will join Johor Darul Takzim next season". Goal. Retrieved 10 August 2013. ↑ "Football: Johor Darul Takzim sign Aimar in biggest-ever deal in M'sia for foreign player". Straits Times. 14 September 2013. Retrieved 5 September 2016. 1 2 Zainal, Zulhilmi (18 January 2014). "Johor Darul Ta'zim 2–0 Perak: Southern Tigers overcome defensive Seladangs". Goal. Retrieved 22 April 2014. ↑ "JDT axe under-par Argentine Aimar". The Star. 21 April 2016. Retrieved 5 September 2016. ↑ "Aimar: I am anxious to play but I need to be in form". Buenos Aires Herald. 6 January 2015. Retrieved 12 January 2015. ↑ "River Plate vs. Rosario Central - 31 May 2015 - Soccerway". int.soccerway.com. ↑ "River Plate's Aimar announces retirement". FourFourTwo. 14 July 2015. Retrieved 16 July 2015. ↑ "Pablo Aimar vuelve al fútbol para cumplir una cuenta pendiente". Clarín (in Spanish). 16 January 2018. Retrieved 17 January 2018. ↑ "Estudiantes Río Cuarto Vs. Sportivo Belgrano 0 - 0". Soccerway. 23 January 2018. Retrieved 24 January 2018. ↑ "La noche del adiós: Pablo Aimar se despidió como futbolista en su querido Estudiantes de Río Cuarto". La Nación (in Spanish). 23 January 2018. Retrieved 24 January 2018. ↑ "Sportivo Belgrano Vs. Estudiantes Río Cuarto 2 - 1". Soccerway. 23 January 2018. Retrieved 24 January 2018. ↑ "Pablo Aimar despediu-se com emoção no clube da terra". A Bola (in Portuguese). 23 January 2018. Retrieved 24 January 2018. ↑ "England's revenge". BBC Sport. 7 June 2002. Retrieved 12 September 2014. ↑ "Brazil 4–1 Argentina". FIFA.com. 29 June 2005. Retrieved 15 March 2019. ↑ "Brazil victorious in Copa America". BBC Sport. 16 July 2007. Retrieved 28 May 2009. 1 2 3 4 Paul Wilson (16 July 2015). "Pablo Aimar: the Argentinian wizard admired by Maradona and Messi". The Guardian. Retrieved 24 February 2017. 1 2 Akash Swamynathan (15 July 2017). "The brilliance of Pablo 'El Mago' Aimar". www.sportskeeda.com. Retrieved 15 March 2019. 1 2 "The Next Maradonas: Grading 10 of Diego's footballing reincarnations". www.squawka.com. 18 January 2016. Retrieved 15 March 2019. ↑ "Juan Roman Riquelme: My +10 team". FIFA.com. 28 June 2006. Retrieved 16 March 2019. ↑ "Real Zaragoza 3–0 Gimnastic de Tarragona". ESPN. 19 November 2006. Retrieved 28 December 2012. Argentinian Aimar, who moved to Zaragoza from Valencia over the summer, has struggled to live up to his billing as 'the new Maradona' – one of several players to have been handed that tag – since moving to Spain. ↑ "Da "Nuovi Maradona" a "Nuovi Borghi": Pablo Aimar" (in Italian). Il Pallonaro. Retrieved 7 February 2015. ↑ "Aimar, Messi's childhood idol". FC Barcelona. Retrieved 7 February 2015. ↑ "Pablo AIMAR presented as new U17 Argentina coach - Mundo Albiceleste". www.mundoalbiceleste.com. Retrieved 16 September 2017. ↑ "Pablo Aimar: "Cuando hablamos con Andrés le digo que Estudiantes va a salir de esta situación"" [Pablo Aimar: "When i talk with Andrés i tell him that Estudiantes will turn things around"] (in Spanish). Telediario Digital. June 2011. Retrieved 22 April 2014. ↑ "P. Aimar". Soccerway. Retrieved 22 April 2014. ↑ "Pablo Aimar". WorldFootball.net. Retrieved 15 March 2019. ↑ "Galardões Cosme Damião distinguem Chalana e Aimar" [Galardões Cosme Damião distinguish Chalana and Aimar]. SAPO Desporto (in Portuguese). 28 February 2012. Retrieved 1 March 2016.